To preserve food with refrigeration is one of the processes to extend shelf life and lengthen expiry dates while containing original nutrition. In the food industry, there are several methods to preserve food by using refrigeration which costs and expenses are varied according to methods. One of the most common way to preserve food is to Freeze Dry and it is getting more popular each day. Because it is able to maintain shape, flavours and nutrition of the original product for years. This article will introduce you to food processing by freeze dry which offers nutritional packaged food and with top quality. 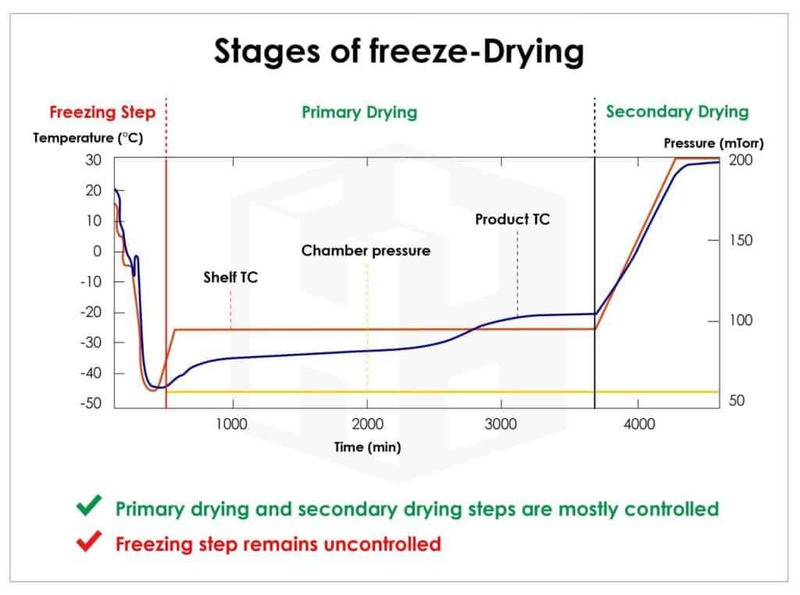 Freeze Dehydration / Lyophilization / Freeze Dry refer to a process that dry out by freezing by which water in cells change status to solid – fine ice crystals. After that, reduce environment pressure to be lower than normal so that ice crystals can sublime into gas in freezing point or lower than 0 degree Celsius. The evaporate ice occurs at 4.7 mmHg or lower. A process to reduce temperature of product to be lower than freezing point quickly in order to bring water in cells to become ice crystals. The most common freezing method is Air Blast Freezing and Cryogenic Freezing. A dehydration by sublime ice crystals in cells to become gas by reducing surrounded pressure to be lower at vacuum. Evaporation of ice crystals occurs completely when pressure is lower than 132 Pa and 132 mPa respectively. Evaporation of ice layer occurs on the surface of product that contact with air, therefore, the surface become dry layers. After that, ice layers inside the product sublime from dry layers to surfaces respectively. The length of process is varied depends on size, shape, and structure of each product. 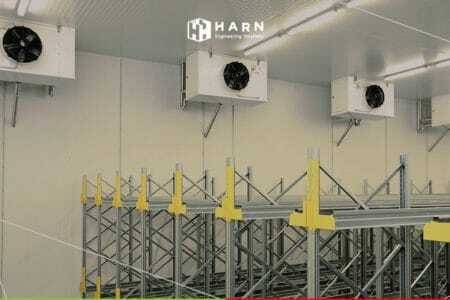 Occurs after ice crystals evaporated completely in primary drying but remains humidity which is necessary to dry absolutely by increase temperature so that humidity is eliminated while maintain safety for storage. Food processing and storage by freeze dry able to maintain food quality and nutrition of the product. Because freeze dry uses low temperature which barely affect food quality. Also, the increase in temperature in secondary drying only affect tissues and cell structures at minimal. 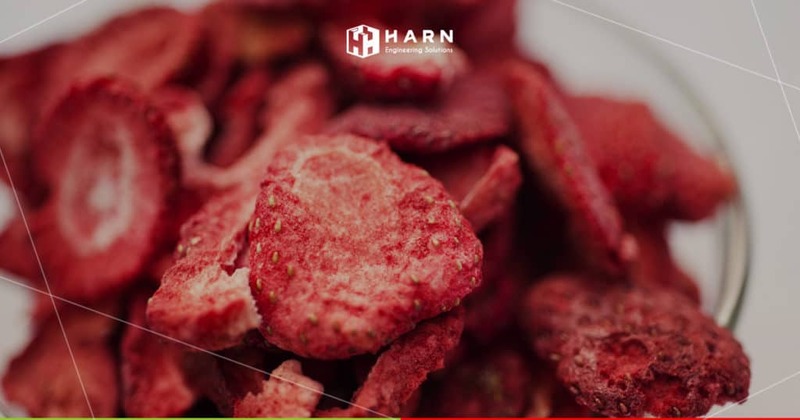 Freeze dry able to produce high quality dried food and rehydration especially colours, smell, flavours, and textures are maintained. 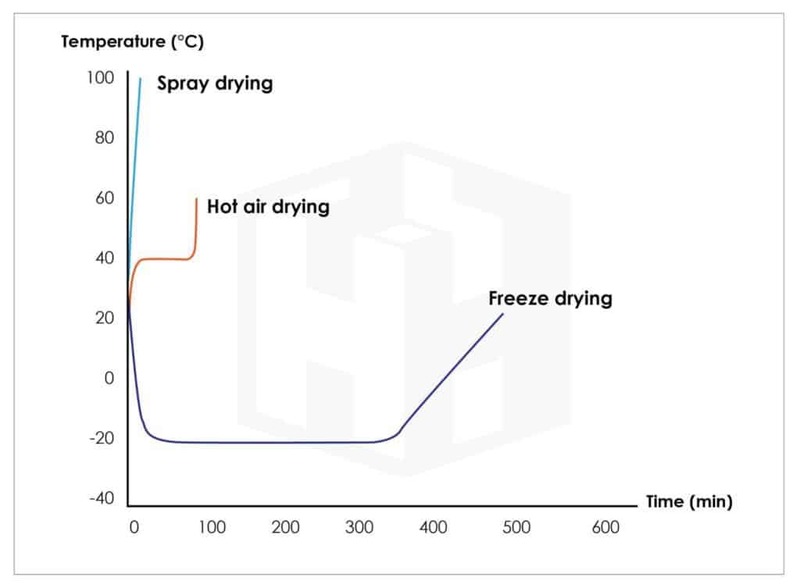 When comparing freeze try to other dry methods such as spray drying or hot air drying, other methods create far more damage to food originally and also lost of nutrition. To freeze dry food, it is important to take the purpose of usage into consideration. 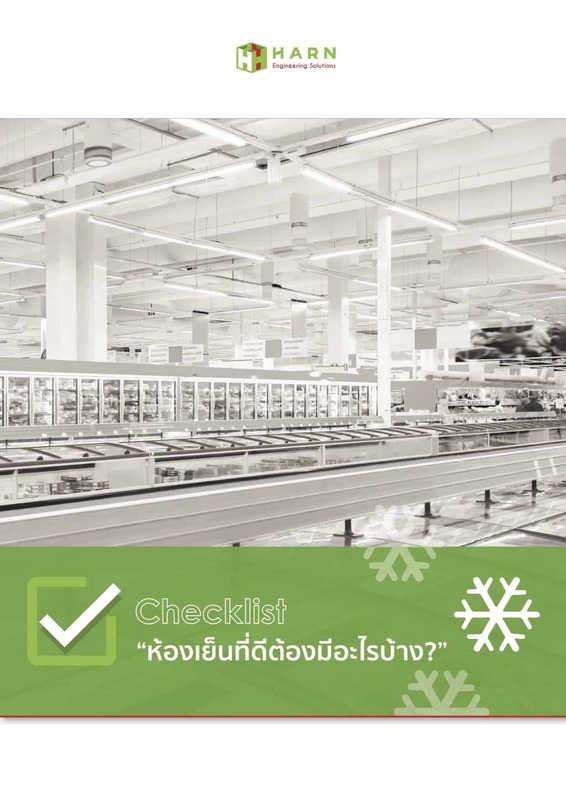 Food recommends to freeze dry should be food that is easy to get spoil and risk to lose its nutrition when contact with heat such as herbs, seafood, fish, vegetables, and fruits that need to be stored for a length of time. Once need to be used, nutrition and shape of food would still remain mostly original. If you have any inquiry or interested in process of freeze dry for your products, please contact us here. 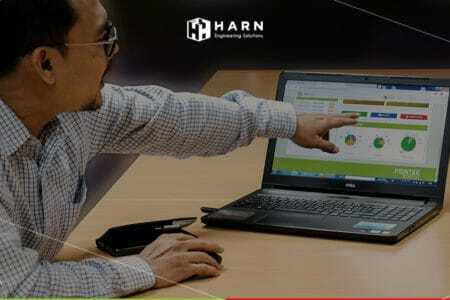 We have experts to serve you. Subscribe to our weekly newsletter to get update to your inbox! 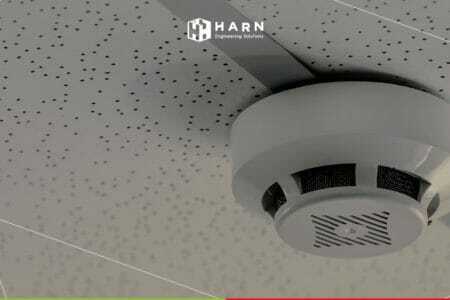 When should we change Smoke Detector System?